This collection of cremation and funeral related resources was put together in an effort help you learn more about urns, our memorial products, and a little about how you might face these trying times. We hope that we can "make your difficult time a little easier." Do I need to buy a Burial Vault? Gold Vermeil? Gold Filled? Gold Plated? Huh? We have gathered some general information regarding veteran burial and memorial benefits here on these pages. For much more extensive information on this topic we encourage you to visit the United States Department of Veterans Affairs website. Each year more than 600,000 flags are presented to military personnel and their families in honor of dedication and service to their country. An additional 250,000 flags are flown over the Capitol building commemorating birthdays, honors and special achievements. The following are guides to appropriate ways of displaying and storing these honored memorabilia, as well as step-by-step instructions on how to correctly fold your or your loved one�s flag. These cherished flags represent the past, present, and future of this great nation and the dedication of those sworn to protect it. A flag display case is the perfect way to preserve, protect and proudly display these cherished memories. What are burial flag display cases? Display cases are wooden frames with a glass or clear front. Cases are designed to fit a standard military burial flags, 5�x 9.5� or smaller 3� x 5� flags. The flag case item description will tell you what size flag the case is for. Accessories are available for the option of having honorable metals and pins displayed with or below the flag. 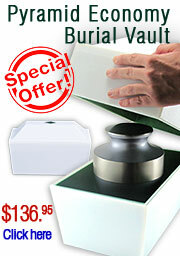 Stands, pedestals, and memorial urns can be purchased to conveniently display the case. Engraving options allow for personalization and further commemoration of the person and or their achievements.